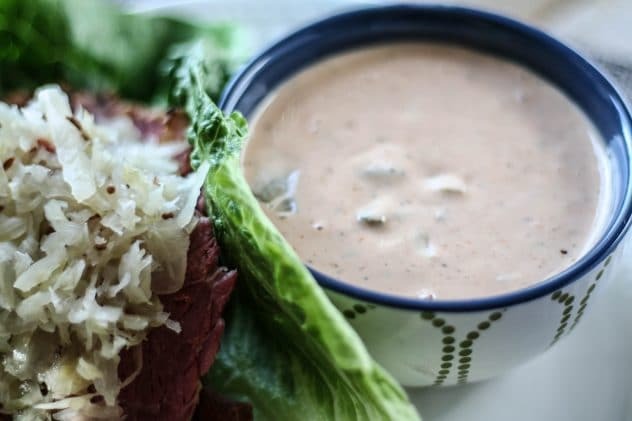 A creamy Paleo Thousand Island dressing that’s dairy-free, gluten-free, and yet still oh so delicious. Made with just a few simple ingredients and can be stored in an airtight container for weeks. When I moved over to Paleo I had to give up my dairy-based sauces, but, after my few days of mourning, I got over it real quick. Paleo or not, dairy and I were just NOT getting along. Part of my Paleo journey has been to find delicious and tasty alternatives to my old flames. One test that I used to help me find my food intolerances was the EverlyWell Food Sensitivity test. This test gave me a clear view of foods that I am intolerant to through a simple blood test you could do at home. 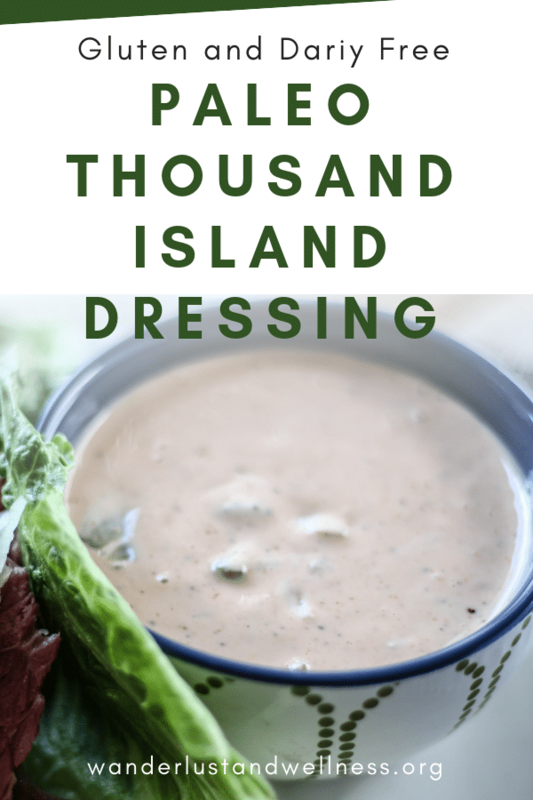 Is Thousand Island Dressing Dairy Free? Traditional store-bought thousand island dressing is normally not dairy free. However, you can easily make a batch of this homemade thousand island dressing that is dairy-free and store it in an air-tight container for up to two weeks. To make your own dairy free thousand island dressing, simply combine the below ingredients into a mixing bowl, mix to combine, then refrigerate in an air-tight container. 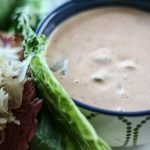 If you’re a Thousand Island dressing lover, this recipe is for you! Super simple, super quick and super delicious! Just mix together all of the ingredients and store in an airtight container then serve with your favorite foods! Enjoy these other Paleo recipes! An easy homemade Paleo thousand island dressing that’s both dairy-free and gluten-free.